I posted this merely because it made me laugh, and laugh and laugh, which is really the best reason isn't it. 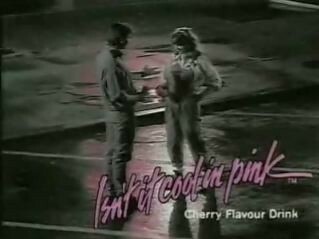 I hope you enjoy this early 90's cherry 7-up advertisment with as much as I did. Do you remember when everything was cool in pink? but this makes pink really bad. esp because of the music. matt leblanc is a dork.